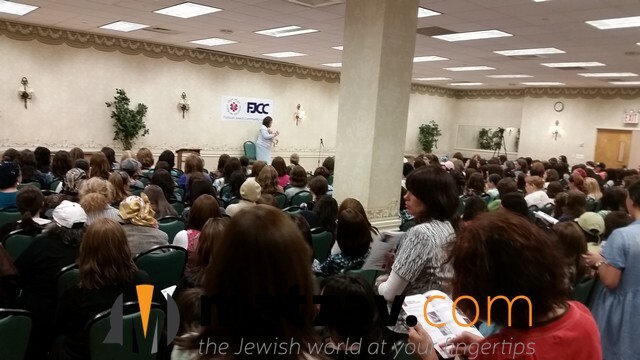 A capacity crowd of hundreds of women attended the recent FJCC and Flatbush Hatzoloh safety event titled: Know what to do BEFORE Hatzoloh arrives. The Flatbush Jewish Community Coalition and Flatbush Hatzoloh introduced this innovative concept, to train parents on how to remain calm and take action to save a child’s life in critical situations, like choking, burning and bleeding, where every second counts. Moshe Wulliger, Flatbush Hatzoloh coordinator stressed “the importance for community members to participate in these training sessions as it really saves lives.” Since the safety event, two incidents were reported, one of an child and one an adult being saved by participants who used the skills they had just learned. Josh Mehlman, FJCC Chairman stated: “After numerous situations of near tragedies, including when the wife of an E.M.T., whose child was choking while the husband was out, was totally helpless and panicking while waiting for Hatzoloh who Boruch Hashem saved the child, we realized we had to do something to educate parents to prevent emergencies.” Mr. Mehlman thanked Flatbush Hatzoloh Executive Director Issac Ungar and office manager Leah Aminov for their efforts to insure the events success, as well asFJCC members Yaakov Safer for helping to initiate the concept, and Yaakov Schapiro for helping to co-ordinate the event. The program sponsored in memory of the Sassoon children, featured an experienced American Red Cross Certified trainer Mrs Rochel Vail, who taught the women basic life saving skills, and common sense practical advice on how remain calm and save a child in a life threatening situation. A twelve-page emergency safety guide was produced for the event, and distributed free. 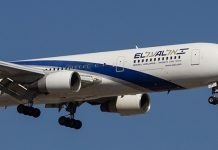 The FJCC and Flatbush Hatzoloh plan to take the “show on the road” in response to the many groups and individuals across the tri state region who have requested to co-host the program in their communities. A session in Flatbush for men is scheduled for this July, during the 3 weeks, as well as a follow-up class for women in September. To be informed of these and other upcoming free classes, or to request the program for your community, contact the FJCC at info@flatbushjewish.com, or call the office at 347-729-1940.